Held on Sunday, 6th May 2012. The Group met up at 8.30am at HQ to inspect uniforms and form up. 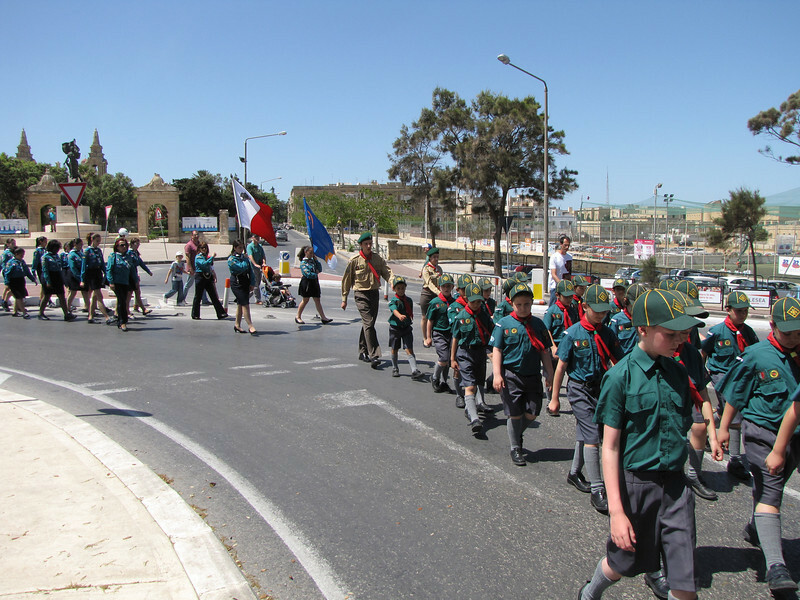 Before leaving HQ, a quick Crossing of the Line ceremony of 1 Cub was held and 2 Scouts were also invested. Our traditional pastizzi awaited our arrival at Floriana to give us energy to march smartly through Valletta. A Group photo was taken in front of the National Bank before boarding the bus back to Sliema HQ.